Steve Madden’s line of shoes, clothing, and accessories is truly impressive. Designer Steve Madden has created a large empire when it comes to fashion, and the shoes that this company creates are one of its most impressive components. If you’re looking for a new pair of shoes, clogs, loafers, boots, or anything else, Steve Madden is at the front of the fashion industry showing most other companies what is in style, and what to stay away from. We highly recommend checking this company out if you’re looking for something new and stylish to wear. 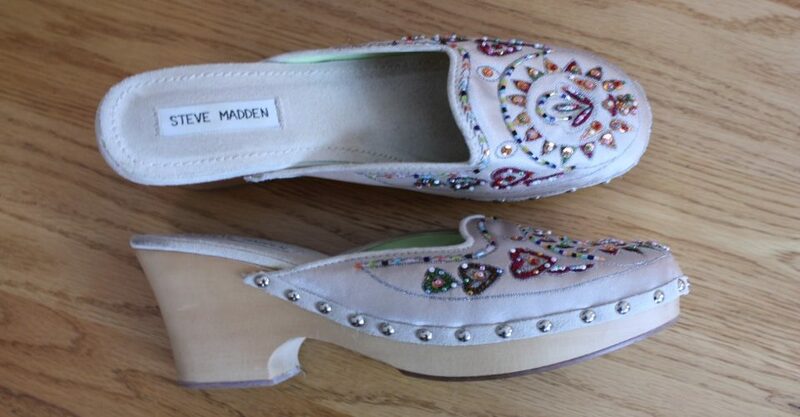 Steve Madden began his company in 1990 with just $1,100. Since then, it has grown into a multi-million dollar company. Even more importantly, the company has positioned itself in a place where it meets the needs of stylish individuals who don’t want to spend thousands of dollars on big name designer items. In this respect, Steve Madden has become a big name in the fashion world, providing high end items at affordable prices. Whether you are looking for a pair of clogs to kick back in on vacation, or something more elegant for the office, this company has a shoe for you. One of the company’s big principles is that style is like individuality. It is innovative, ever changing, and daring. They strive to provide this for their customers by evolving along with what is in fashion at the moment. Steve Madden’s shoe fit in a number of different categories. They have shoes designed for comfort and relaxing, such as slippers, loafers, clogs, and sandals. They have slip on shoes, and shoes designed for more formal occasions, too. Both their casual and their formal footwear pieces come in a variety of different styles and materials, ensuring that you can find the perfect shoe, boot, or anything else to fit your needs and personality.